It is a true delight to enjoy turquoise blue waters, white sand and long peaceful beaches, for that reason, the Island of Cozumel, the "land of the swallows", is the ideal place to spend your next vacation. It is sure that you will be enchanted with this beautiful place and its impressive beauty. And the best to crown the splendor of the Mexican Caribbean is: SWIM with the whale shark, considered the largest fish in the world, and one of the most incredible EXPERIENCES in this 2018. 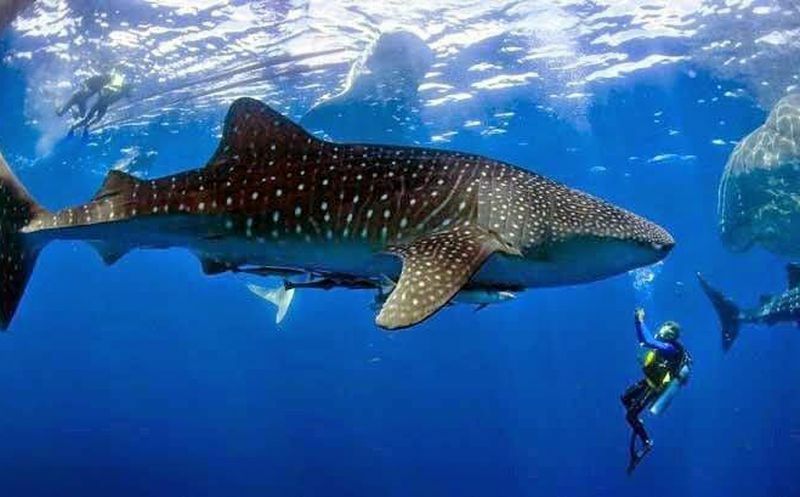 It is a fantastic moment where you will have the opportunity to swim a few meters from these giants of the sea and you will be impressed by the beauty and docility of these animals with humans.